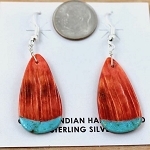 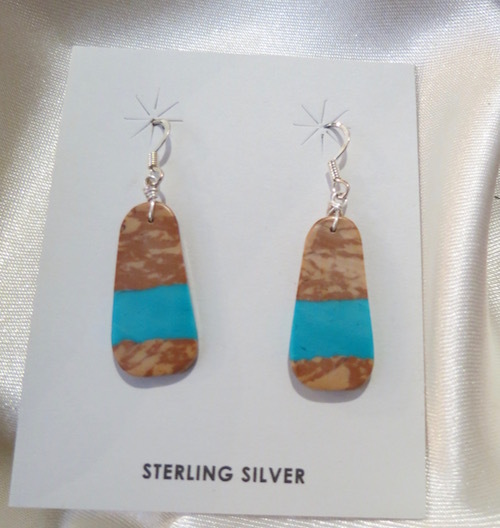 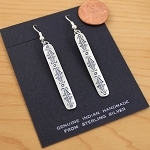 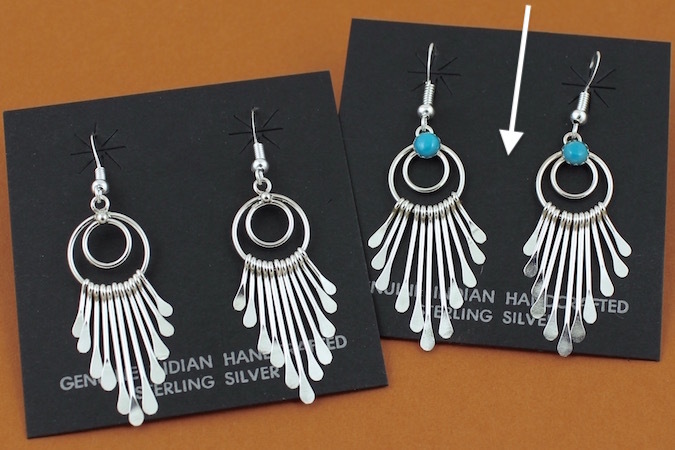 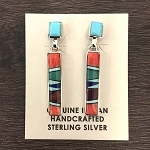 Boulder Turquoise Slab earrings on sterling silver ear wires made by Ella Mae Garcia, Santa Domingo Pueblo, New Mexico. 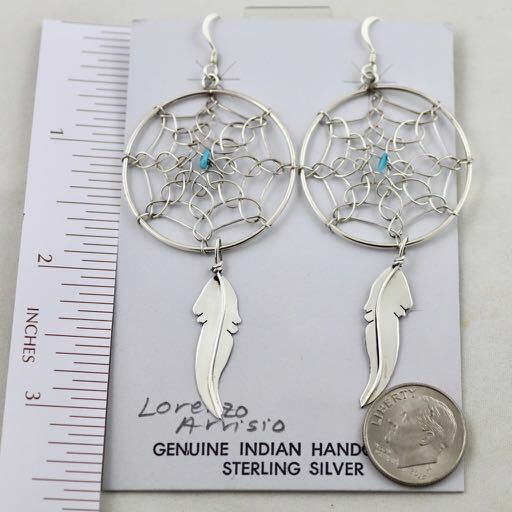 Size 1-5/8" long with wires. 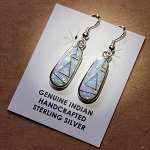 Beautiful both front and back.